For everyone who wished that they knew a little bit more about spina bifida. For mothers, fathers, aunts, uncles, grandparents, great grandparents, friends, teachers, students or anyone who wondered "What is Spina Bifida". I made these 'learning posts' in June for Spina Bifida Awareness month, but thought I'd make a stand-alone blog so that if anyone is interested, all of the information is here. And I can add as I learn more about spina bifida as well! Spina Bifida is the most common birth defect in North America. My son Nickolas was born November 13, 2009 with spina bifida and I have chronicalled our journey here, in my personal blog. I hope you enjoy and learn something! The information from this blog has been collected by myself to share what I have learned. It should in no way replace medical recommendations or consultation. This is for educational and information purposes only. When you learn about Spina bifida from the doctors you are told that there are a couple of different issues you will be looking at because of the damage to the nerves; mobility and bladder/bowel. Depending on what doctors you are talking to, they will spin it 2 different ways. Your child will be in diapers forever, or this is manageable. Manageable means cathing and an assortment of different poop strategies. The nerves that go to the bladder and bowels are at the sacral level of the spinal cord. A lesion or damage that is above this area means that the nerve supply to the bladder and bowels are usually affected. The nerve damage to the bladder leads to something called a neurogenic bladder. But really, what does this mean? 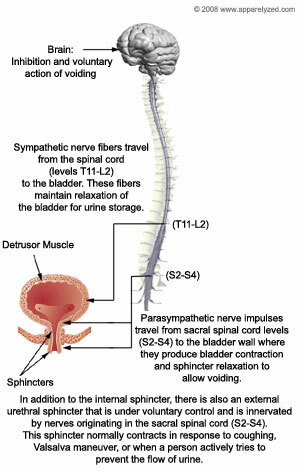 The nerves can affect the bladder, the sphincter (the door to the bladder) and pressure. The neurogenic bladder can do 2 different things. One is that the bladder is ‘lazy’ (this is my term), the bladder is limp and cannot squeeze urine out – like an elastic band that is stretched and can’t tighten up any more. This is where Nickolas is. When I cath Nickolas I can get anywhere from 5mL to 100 mL of urine. Pretty big for one little kid. What we worry about is urine that stays in the bladder because it doesn’t empty. The other is that the bladder is spastic or ‘hyper’. Urine isn’t stored at all and the bladder, but it is always emptying. 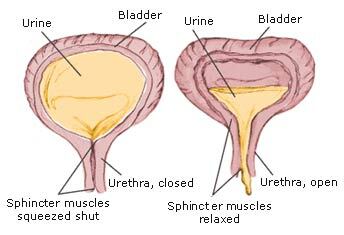 Catheterizing (for those who don’t know, and are interested) means that a small flexible tube goes through the urethra and into the bladder. There is a hole at the end of the tube that allows the urine to drain from the bladder. This is one of many things that seem to bother the parents a lot more than the kids. We’ve been doing it since Nickolas was born and it doesn’t look like we are going to be stopping anytime soon (but I can still hope). Nickolas doesn’t care, half of the time he laughs, plays kicks – hopefully missing my hand that is holding the catheter, and hopefully missing the bowl of urine. The sphincter is a muscle that is the door to the bladder, it can be too tight or too loose, when it is tight you have problems opening up the door, and when it is too loose the door is always opening unannounced. Pressure is the last thing that affects how kids pee. (If the bladder is a room, the sphincter is the door, than pressure if the wind from the window). Low pressure means that the bladder doesn’t completely empty, and high pressure means that urine can be forced into other ‘rooms of the house’, specifically the ureters and the kidneys. Pretty much with a neurogenic bladder we want to make sure that the bladder is healthy. We want it to be emptied regularly and not get any infections or damage the kidneys. Incontinence, not being able to control your bladder emptying, we will tackle in the future, but right now, with 2 kids in diapers I am not even close to considering an approach. But there is a combination of ways that we can deal with this. The main concerns about this way to ‘get things out’ are infections and kidneys. 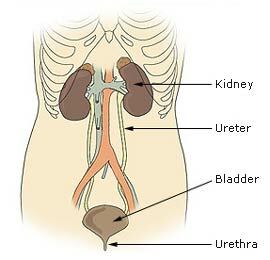 A urologist is our very own pee doctor and helps to monitor how everything is doing. Learning about SB: A mile-o-what?